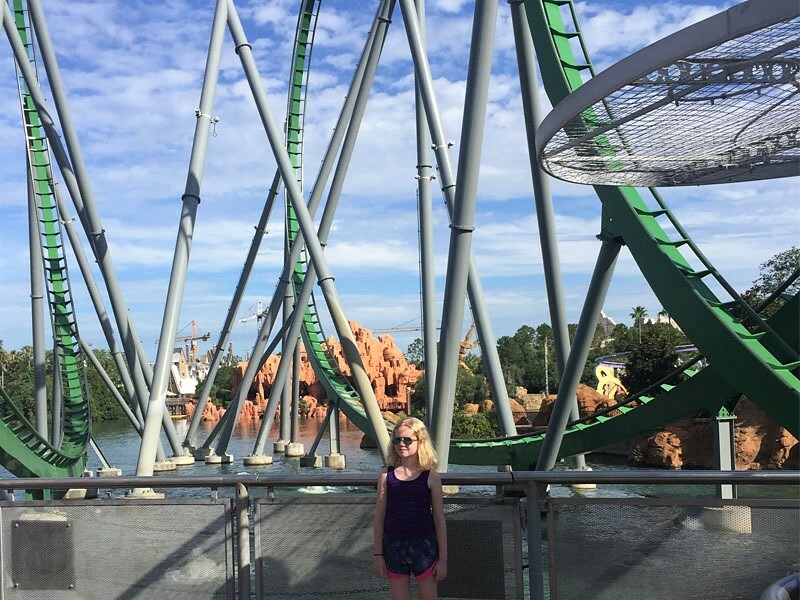 Universal Studios Florida is a great destination for a family vacation. 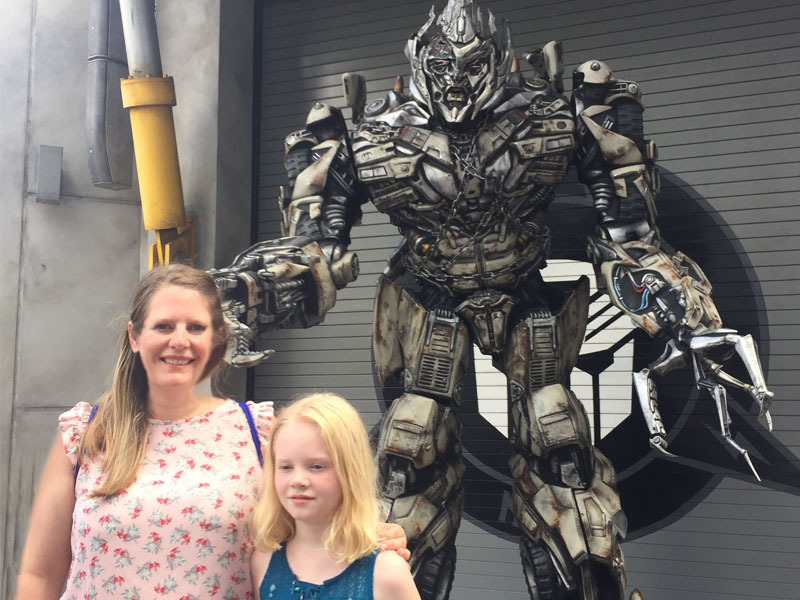 Find out what attractions your kids can do before planning your trip to Universal Studios Florida! I’ve avoided planning a family vacation to Universal Studios Florida because I always saw this park as being a park for bigger kids. Instead, we would always go to Disney. I totally love Disney, so I am not complaining. But it had been over 15 years since I had been to Universal Studios Florida and I was ready to go again! With the girls now 6 and 9, I decided we should go for it. I am so glad we did because everything exceeded our expectations! 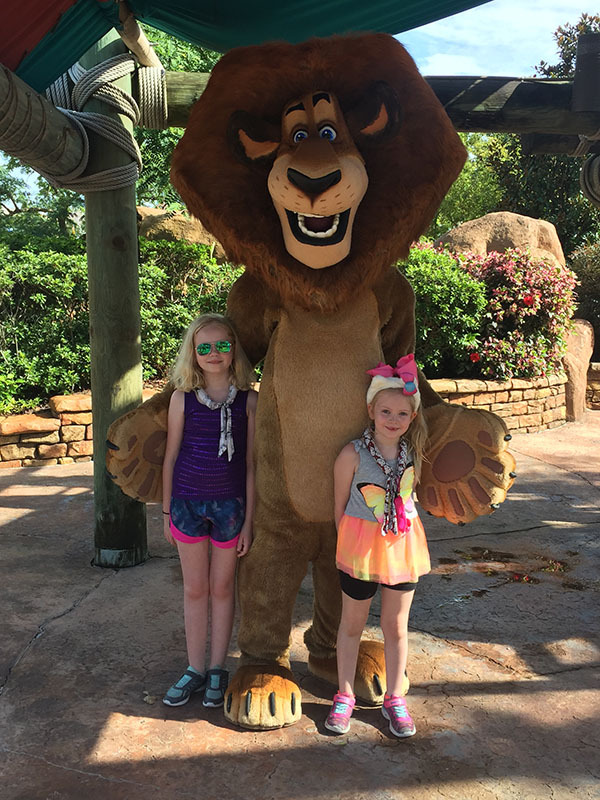 Related: Disney World FastPass Tips & Tricks – FastPass Like a Pro! 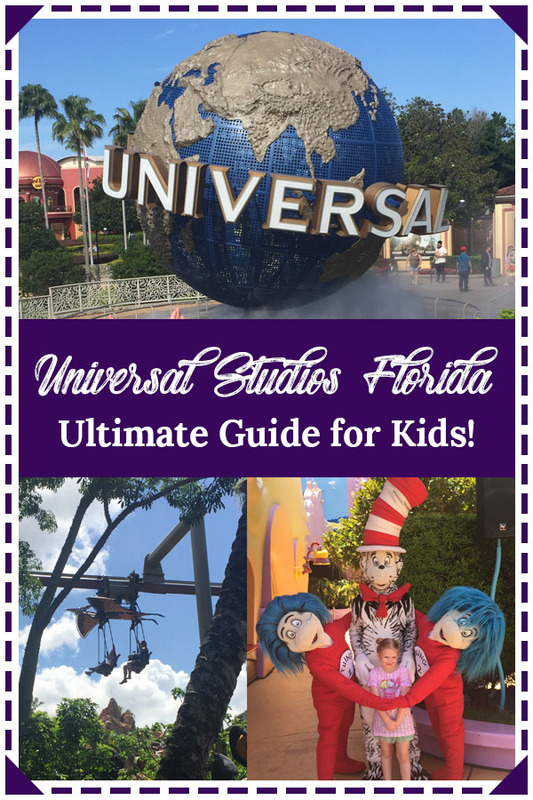 There are so many cool things for families with younger kids to do at Universal Studios Florida and Islands of Adventure. We spent 4 1/2 days between the two parks, but we still weren’t ready to leave! I recommend staying at a Universal Studios resort because you get extra perks. You also get transportation to and from the parks. 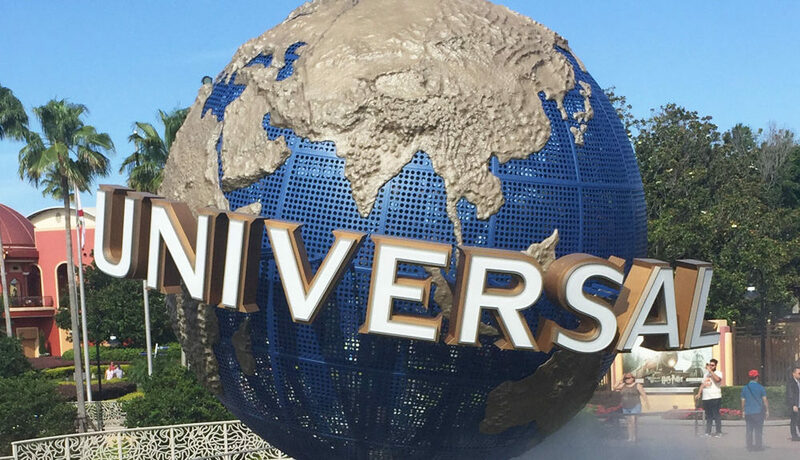 Each resort comes with it’s own set of perks which you can read about in more detail from Universal’s website. The premium hotels include free Universal Express Unlimited passes which allow you to skip the lines at the most popular attractions. 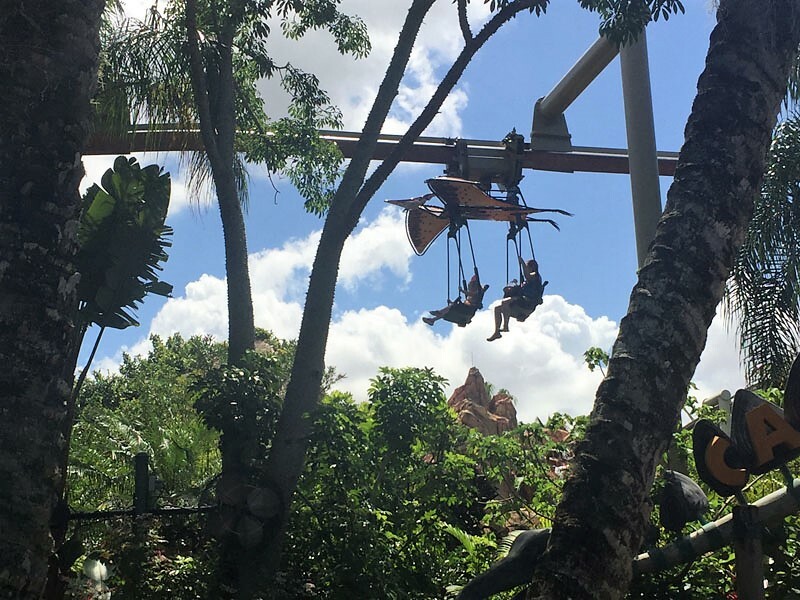 If you are planning a quick trip, you’ll want to consider this option to guarantee you’ll get to experience all the rides. 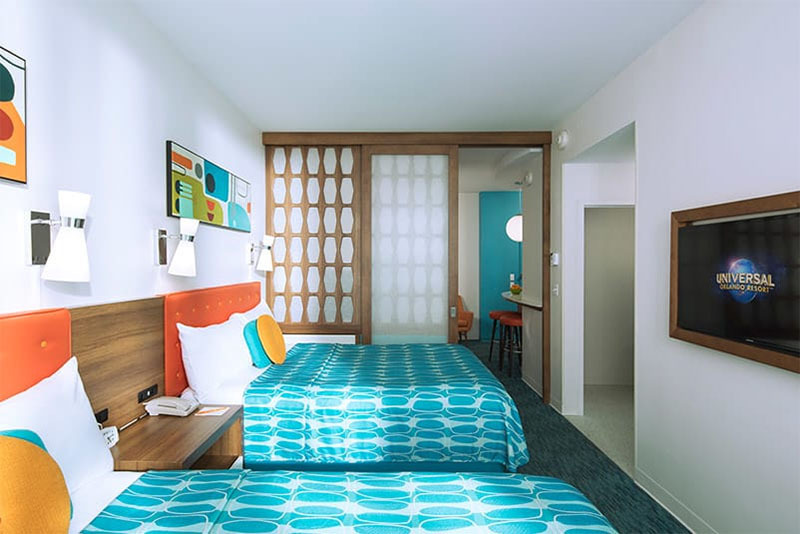 Since we planned a 5 night stay with the 5 day park hopper passes, we didn’t feel having the express passes were needed and chose to stay at Universal’s Cabana Bay Beach Resort. The transportation to the park was amazing. Regardless of the time of the day, we never had to wait for a bus. We also were able to enter the Wizarding World of Harry Potter (only Diagon Alley) an hour before it opened as one of the perks of staying at a Universal Resort. At 54 inches, you’ll be able to ride every ride at both Universal parks. 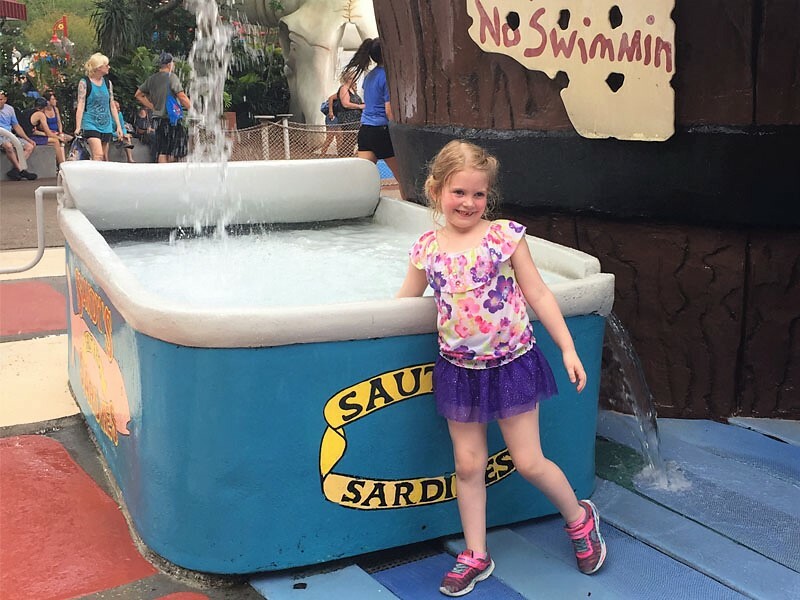 Olivia (age 9) is exactly 54 inches and she took full advantage of being able to ride the bigger rides. She rode all the rides and loved them all. Even the Hulk! 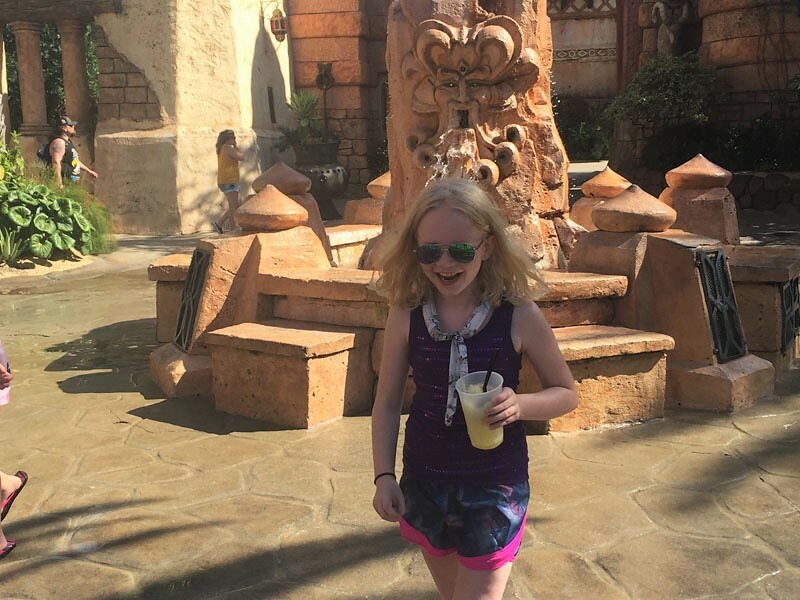 I knew she would really enjoy the Universal parks when planning the trip. She is pretty fearless when it comes to rides and scarier things. So if you have an older child who loves rides and is 54 inches, they’ll have a great time with all the rides. Otherwise, at 52 inches, they’ll still be able to ride everything except for the Hulk if they haven’t quite reached the 54 inch mark. 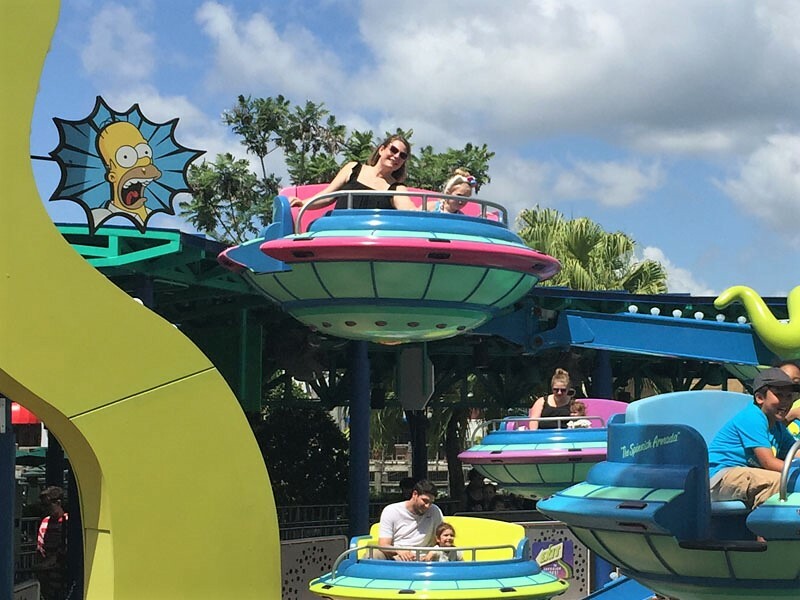 As you can see, there are plenty of rides for everyone at Universal Studios Florida! 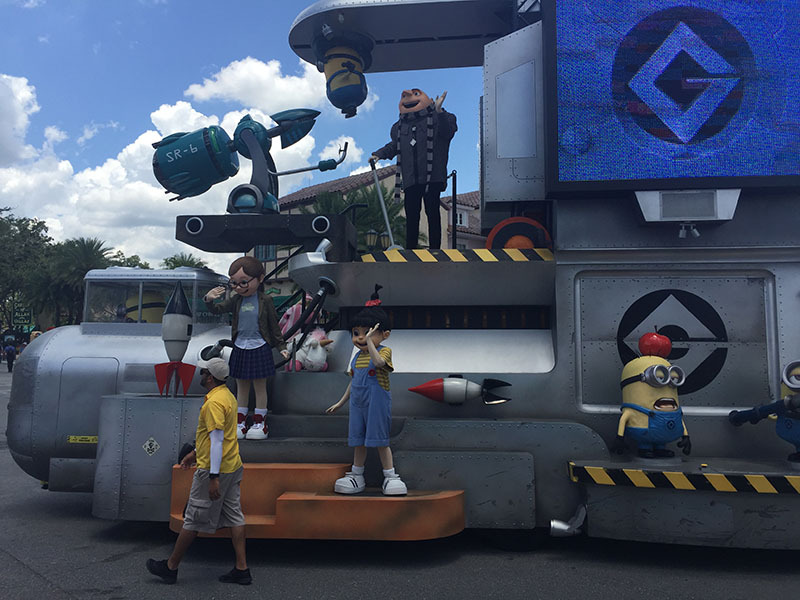 Universal Studios Florida has a child-swap program. This allows the entire family to wait in line together. Then one person is able to stay with the younger child while the others ride. When they are done with the ride, swap who stays with the child and you are able to ride right away without waiting in line again. If you have ever been to Universal Studios Florida, you know that the line can be just as exciting as the ride sometimes. So it is nice for everyone to be able to experience the scenery inside the lines together and wait together. Abigail didn’t mind having to do the child swap. She was glad to because she didn’t want to ride the bigger, scarier rides anyway! So she really loved this feature! At times she was also able to go off with my mom who didn’t want to ride some of the rides and spend more time in her favorite areas (she really loved the Dr. Seuss land) while the rest of us rode the big stuff! So that was really nice for all of us. There is a Universal Studios Florida App that you will want to download on your phone. With this App, you can view all the wait times and show times. I would say the App was pretty accurate during the time we were there. If anything, we usually waited less than the time said on the App. 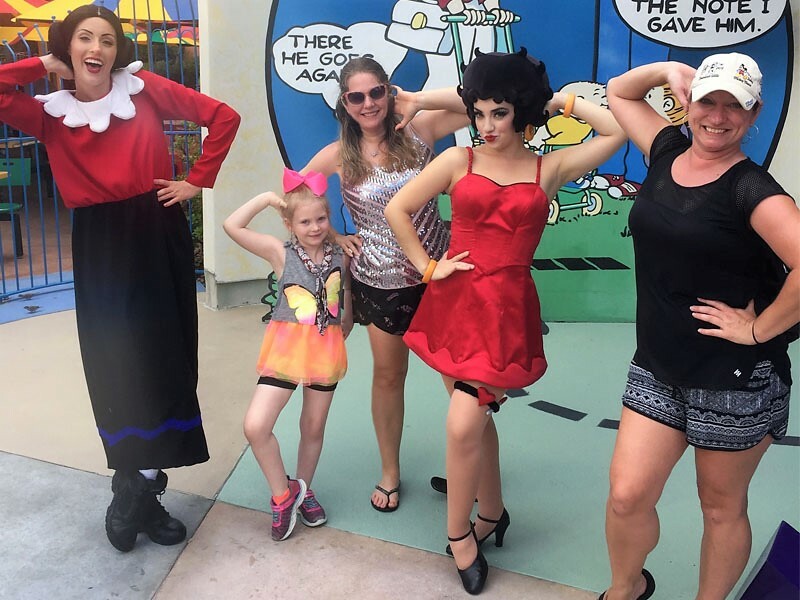 We visited Universal Studios Florida the second week of June and I feel like we really got lucky with the lines. During the busier times which is mid-day, we occasionally had to wait 30-40 minutes for a more popular ride. But usually, we waited less than 20 minutes for a ride. A lot of times, we even walked right onto the rides without a wait. 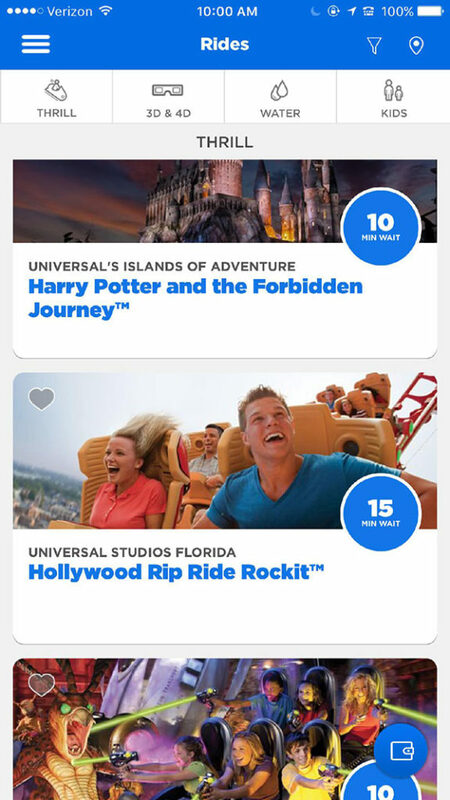 You can view the wait times from the Universal Studios Florida App at home before your trip to determine what times rides are the busiest and at what times to help plan your trip. This area has a giant Jungle Gym for kids to play on. Don’t forget to go inside Camp Jurassic also. 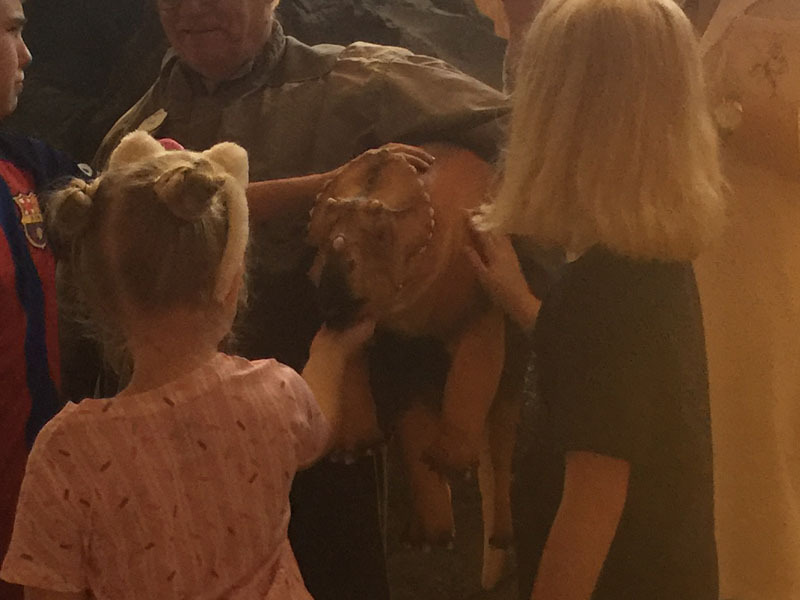 There you’ll get to pet a baby dinosaur and see dinosaur eggs hatch as well as other fun things! 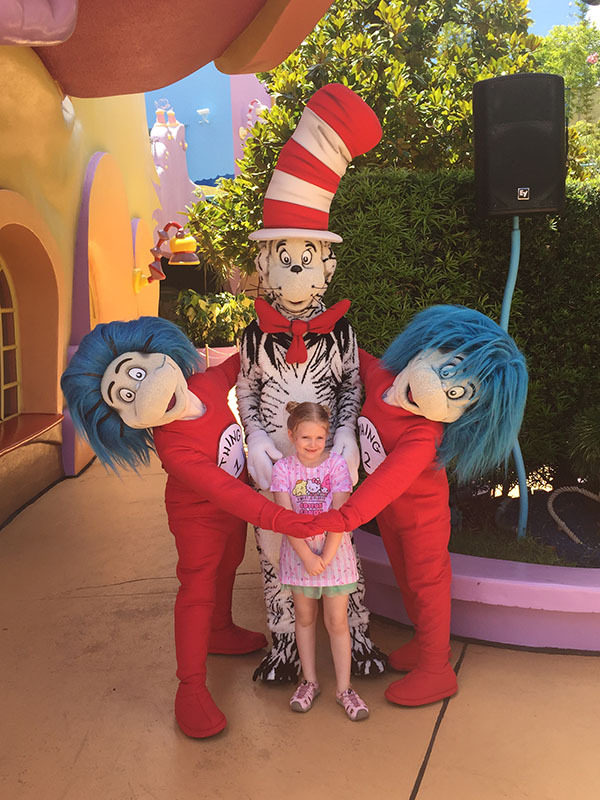 Everything in Dr. Seuss land is fun for young kids. But they also have a little play area that is fun for kids. 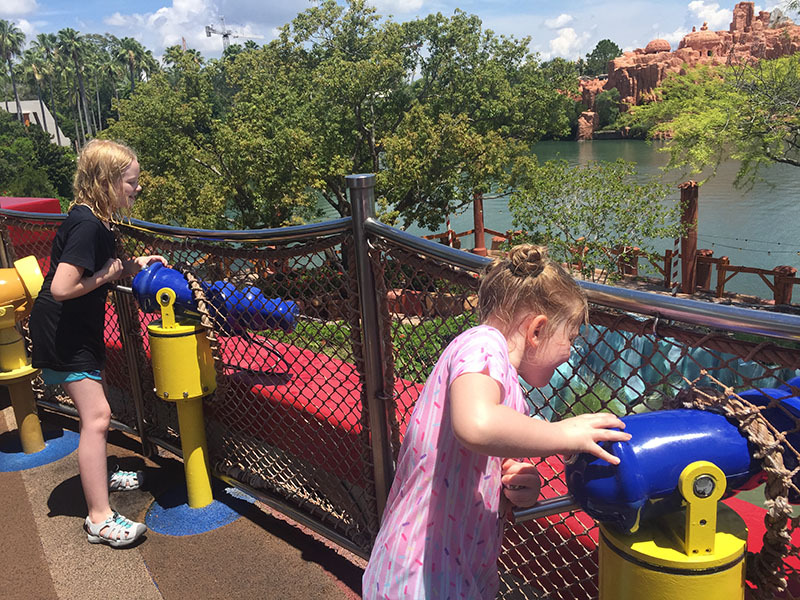 This is a playground, but from up top, you’ll also be able to spray water at those riding the Popeye & Bluto’s Bilge-Rat Barges! This area is pretty much all water related activities and is perfect for when you need to cool off! One of my favorite things about the Universal Studios Florida parks is how they do the characters. 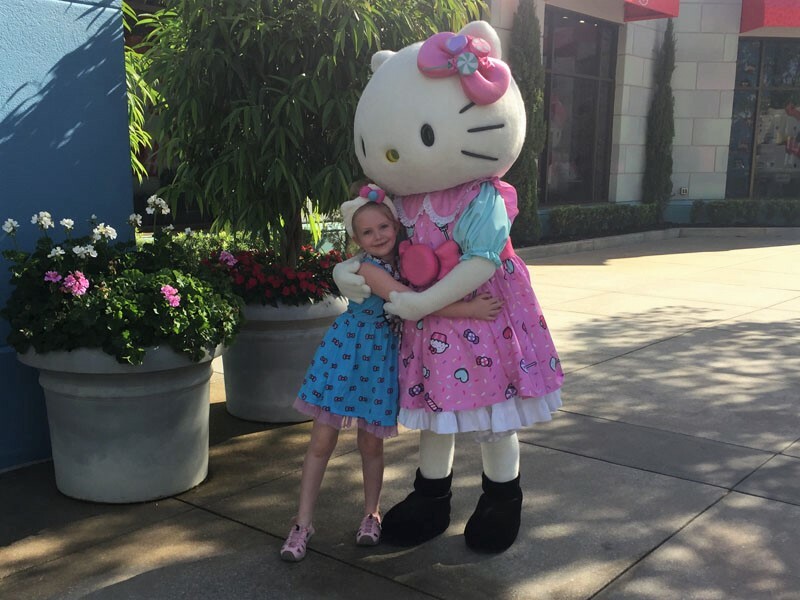 As you walk through the park, you really never know who you will run into and this makes it so fun! When you do run into characters, it’s so much fun and more personalized this way. You don’t have to wait in line to take pictures, you just walk right up! 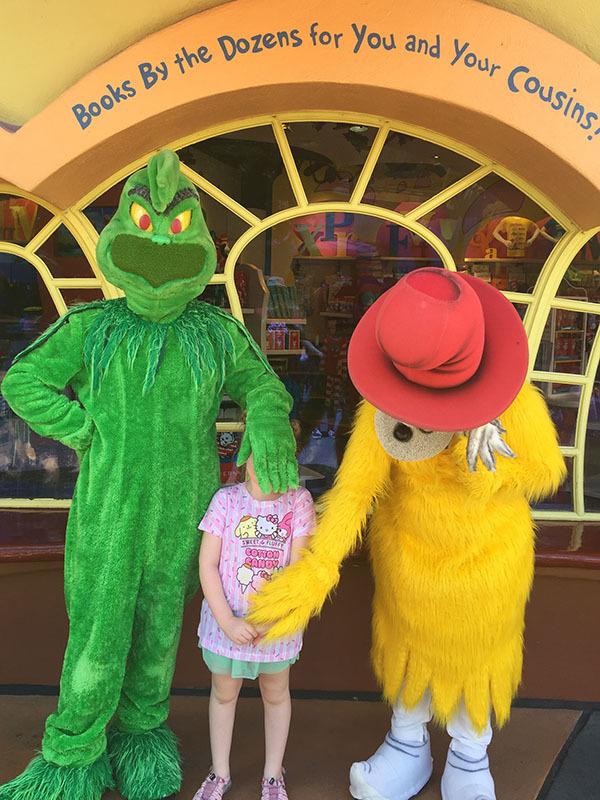 There may be a couple people ahead of you, and of course you should wait for those who were there first, but you won’t experience waiting more than 5 minutes to take a picture with the characters you run into. Olivia has that face like she is so over all the character pictures by now (because we did A LOT of them, we just kept running into people) and just wants to ride the big rides already! There are also Character Zones if you are looking for particular characters. Sometimes these zones will be a dance party with your favorite characters, story time or just picture opportunities. We ended up taking pictures with way too many characters to count! While we were busy dancing with the Minion crew, my sister ran into Beetlejuice and took a selfie with him. So you really just never know who you’ll see! You’ll definitely want to take a stop at the Mystic Fountain located in Poseidon’s area of Islands of Adventure. This is an interactive fountain, that talks back to you and squirts water at you. This fountain is very entertaining and even played a happy birthday song for my Mom on her birthday! 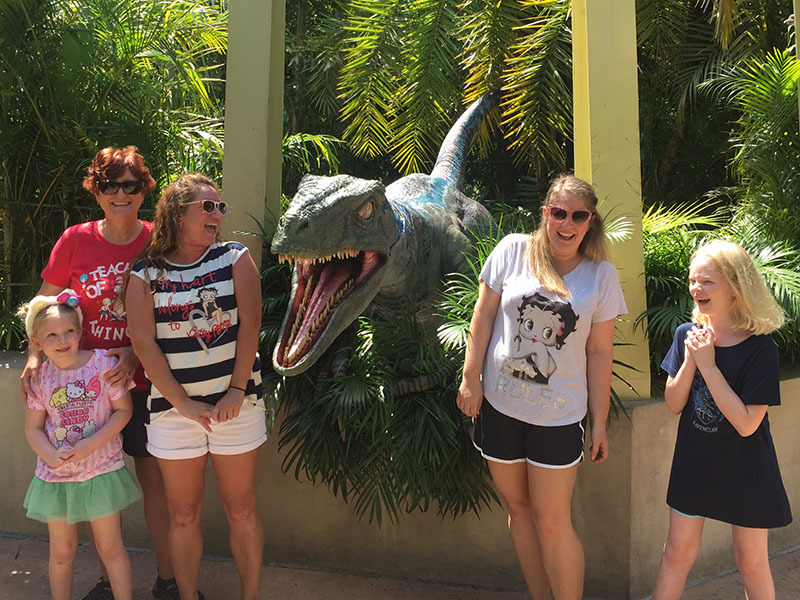 In the Jurassic Park area of Universal’s Island of Adventure you’ll have the opportunity to take a picture with a Raptor. This Raptor is very realistic in both sounds and looks! You’ll definitely want to make sure you add this experience to your to-do list! 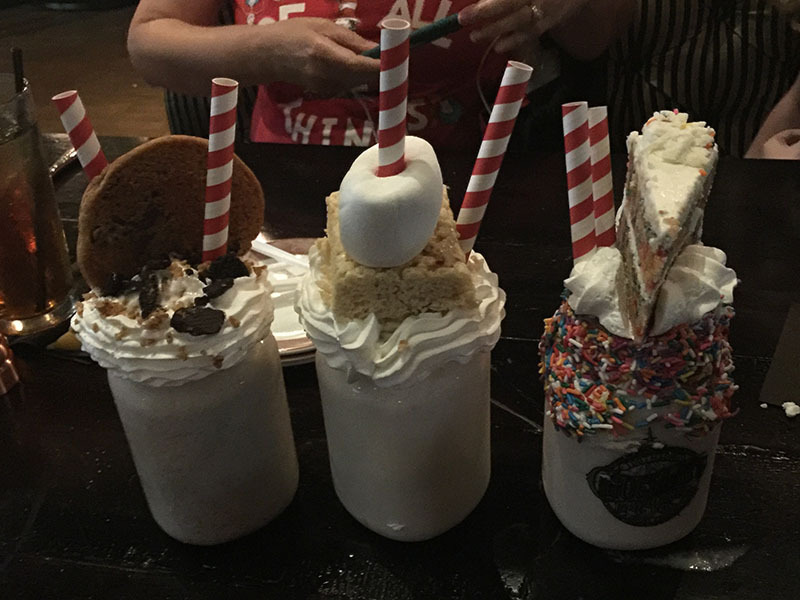 Between City Walk and both Universal parks, there are so many great places to eat. It was impossible to try them all. 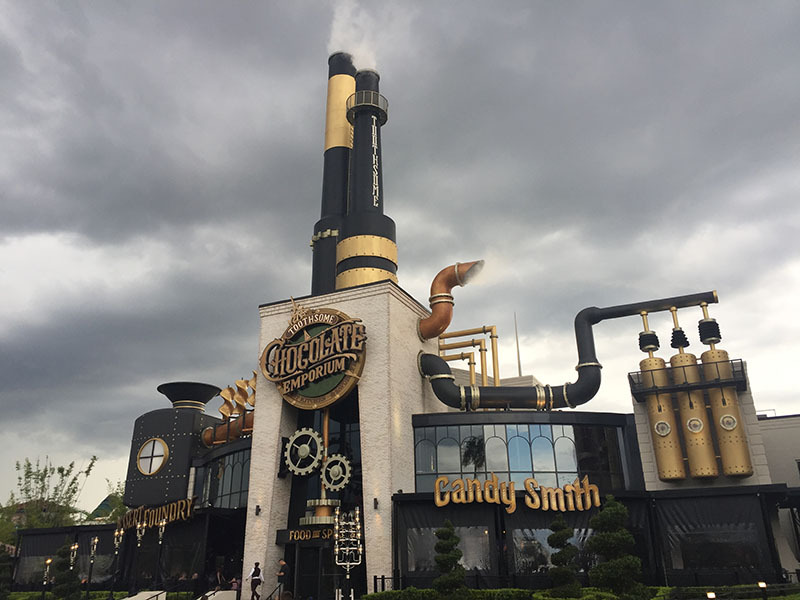 But you should definitely add the Leaky Cauldron, located in Diagon Alley and The Toothsome Chocolate Emporium & Savory Feast Kitchen to your places to eat. Besides being able to get AMAZING milkshakes at the Chocolate Emporium, the atmosphere is amazing and you’ll get to meet Professor Dr Penelope Toothsome, who is very entertaining. If you’re planning a trip to Universal Studios Florida, don’t forget to save this pin for later! Now I just need my kids to grow up a bit more so they’d enjoy a trip to Disney! The last time (only time) was a loooooong time ago (20+ years). Looks like a great trip! I’m trying to plan a trip to Universal Orlando in January. We’ve been there twice, but felt rushed both times. Can’t wait to see it again! So much great info here! I have twin four year old boys and would love to take them! I need to go home and see how tall they are bc I want to make sure it’s worth it! We are planning our first family Orlando trip in November! Definitely saving this! Thank you for sharing! It sounds like so much fun! My kids are under the age of 7 so they might be a little to little still but it is definitely a place I would take my kids to when they are older! What an awesome trip! 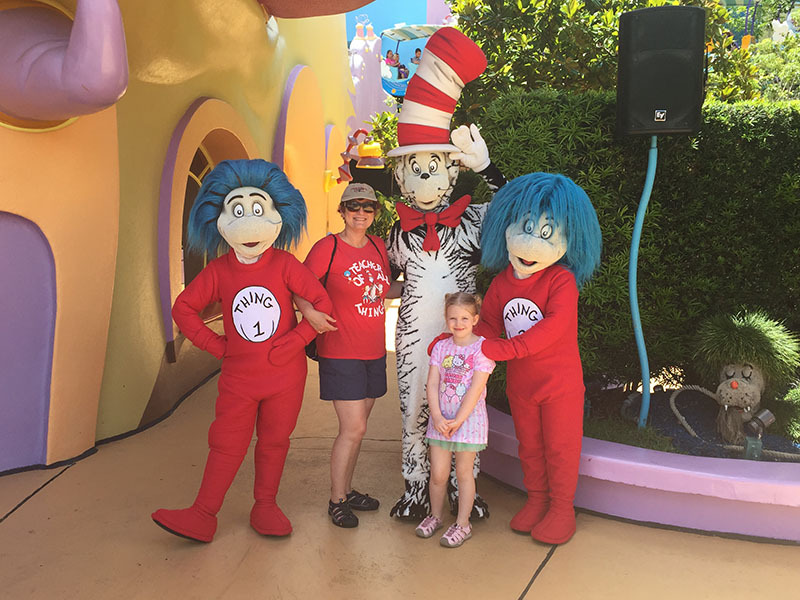 I have a couple of Doctor Seuss & Curious George fans in my house who would love to see their favourite characters come to life! This is really good information for when I take my niece and nephew here. Thanks for all this good advice! this is a great post! Taking family vacation is awesome but it can be very overwhelming if you are not properly prepared! This looks super cool! We went to the one in Los Angeles, but I think this one is much larger! We really want to ride the Hogwarts Express! Great to know about the child swap! Our kids are still little, but we’d like to go in a few years! Thank you for sharing all of this information. My kids are not old enough to do much waiting right now, so that app would be super helpful. So much amazing information! It’s been a while since I’ve been to Universal Studios so I definitely want to make a trip out there! Thanks for all the amazing advice! I would absolutely LOVE to take my kids here one day! We’ve never done anything like this before and it looks amazing! Amazing! This would be great a few months after I give birth. I’m pretty sure most of my life will be on Disneyland as my child grows. I’m not complaining, I’m SO excited! What a fun family vacation. My parents were looking to go to Universal with my younger siblings in the near future. Thanks for sharing these tips. I feel like 5-12 ar the perfect ages for this park. I went with my school while I was in high school and it wasn’t as fun as it would have been if we were a bit younger. I’m so glad you and your family had a good time. I can’t wait until my son is old enough so we can take him to Disney and Universal. Thanks for sharing! I am so excited to be going to Universal this summer! Though I’ll only be there for a day, I’m getting in the entirety of the HP experience and maybe a few other rides. And I love CityWalk! We absolutely love Universal Studios! I can’t wait to go back. Wow! What an amazing trip for both adults and children! I have this on my list of adventures for my grandkids! Thank you so much for all the info! The kids would seriously love this place. I think I might love them more! Awesome tips!! We absolutely love Universal. I hope to plan another trip within the next 2 years. It was so much fun for the entire family. So detailed! I love the idea of the child swap. It always seems like one parent gets the short end of the stick when you have a child not tall enough to ride all the rides. This makes it much better! Yes! I so agree! And Olivia got the best of both worlds because she always got to ride the bigger rides back to back!! I have avoided these parks because my daughter is pretty timid when it comes to rides. I may have to reconsider. Maybe if I could get her to read the Harry Potter books, she would like that. I do know she’d like the Dr. Suess area. This guide helps me to consider if going would be right for us or not! I didn’t realize there was a Universal Studios app. Good to know! Thanks! This is great! I have been putting Universal away since the kids are still fairly young but this might have changed my mind. And that hotel room looks really nice!! I have theee boys & We went in October and my oldest (7.5) loved all the Harry Potter attractions but he did NOT like the Kind Kong ride! And surprisingly one of their favorite things was Jurassic Park and seeing the eggs hatch! 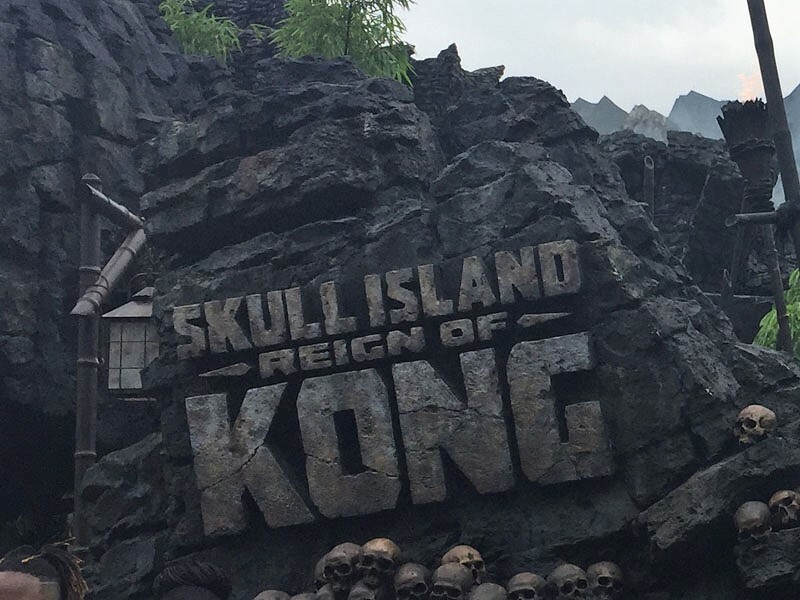 I am surprised how little they can be for that King Kong ride. Definitely not little kid friendly! Wow, you guys saw everything!! Thank You for your post! I too thought it was for older kids only! This makes me think it might work better with my grandkids! The app is an amazing idea! Great way to plan your day and get through rides faster. Thx for the tip about perks for staying at the resort. As usual big fun with the kids at the centre of things. Love the dressing up stuff. Make believe with costumes. How fun! I love visiting Universal Studios Florida! I’m not a huge ride person but this does look fun! Thanks for sharing. That’s a useful tip re where to stay and being able to get lifts to the park. Looks like a great time was had by all! This is a great post. I’m hoping to go here on a vacation soon. Thanks for such great tips and ideas. loads of great information here! 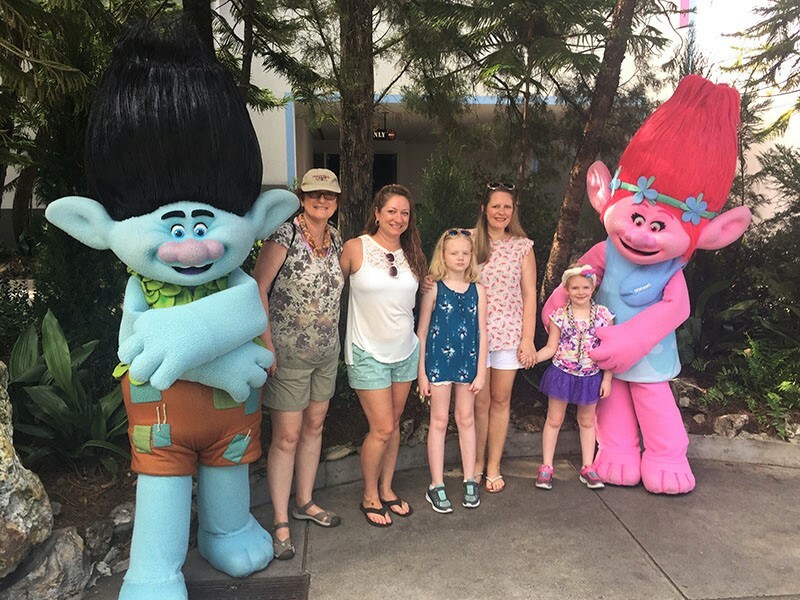 I’ve always loved going to theme parks but only did it as an adult – it must be so, so exciting as a child!